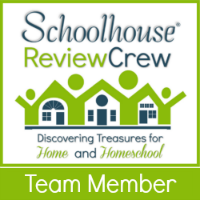 Our family does not school all summer long, but it is nice to be able to incorporate some learning on those rainy days or times when you hear, “Mom, I’m bored. There’s nothing to do.” Enter from stage left, the Go Science Series 2 DVDs from Library and Educational Services. I love these DVDs, our son loves these DVDs, and the whole family joined in the fun they created. The DVDs do not have to be viewed in order nor do they have to be viewed all in one sitting. Each of the videos is about an hour in length and contains about 10-15 science demonstrations or experiments. The DVDs can be purchased individually through Library and Educational Services for $8.97 or the entire Series 2 set sells for $59.82. So there is savings for purchasing the whole Series. If your children love science and are between the ages of 4 and 12, this is a really great deal. If your children don’t love science, you might just find them more enthused after viewing these videos. Even those outside the recommended age of 4-12 will enjoy the amazing world of science presented through these simple yet fascinating demonstrations. When the DVDs arrived in the mail, I honestly handed them to my son one afternoon while he was bored and told him to choose a video and see what he thought. His first thought was that Mom was trying to get him to do more school, but he reluctantly put them in with me reassuring him that I thought he would be surprised. He was amazed and excited about the demonstrations. We had everything in the house that was needed for him to do the experiment. It was completely safe for him to recreate. (Please note: some of the demonstrations do warrant a parent’s supervision, but they are generally very safe and can be done fairly independently by the child). The experiment made him want to learn more!! Step 1: Inspect the eggs to make sure there are no cracks. Step 2: Put two dozen eggs side by side on a flat surface. Step 3: With some assistance from friends, step evenly onto the eggs. Step 4: Let go and realize that the eggs really do hold your weight without breaking. The Go Science Series 2 DVDs get a big thumbs up from this mom and her family. They are educational and fun. What is more is that Ben Roy who is the host of the series also uses each science demonstration as an object lesson to introduce a Bible truth. It is not preachy or long, but helps your child to see that science and the Bible go hand in hand. The DVDs are also quite affordable. Many times I see science videos like this as a way to reinforce what we are already learning about in science. These demonstrations however could stand on their own as just something fun to watch. However, because they are so fun, they could easily be the springboard to inciting enthusiasm for wanting to learn about a particular topic. The videos are not heavy on science theory, but that is OK. Our son enjoyed them so much, he immediately wanted to do them and then get on our ipad to beginning googling to find out why they worked. As always, you don’t have to take just our word for it. Reviewers from the Crew had the opportunity to try out each of the seven videos in this series. 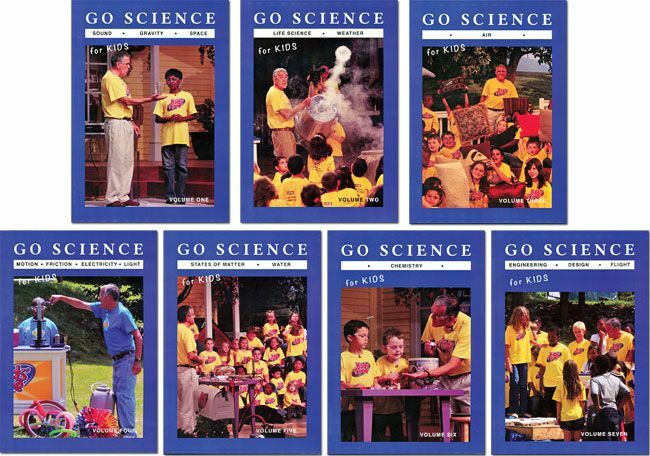 See what others thought and how they used the Go Science DVDs in their homes.